To measure torque accurately, it is necessary to regulate the test speed for repetitive results. The Drivetork, vertical torque bench makes it possible to perform torque measurements by avoiding the influence of an operator, thanks to regulated rotation at a constant speed. The Drivetork torque tester allows you to test a variety of samples but it is particularly suited for screwing tests: caps, flasks, bottles, screws and nuts. 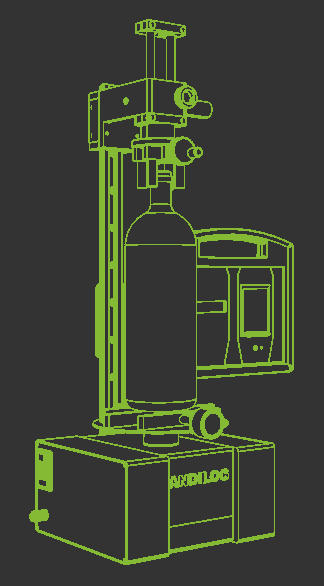 Its measuring head has a transitional axis allowing you to move up and down freely during the torque measurements. 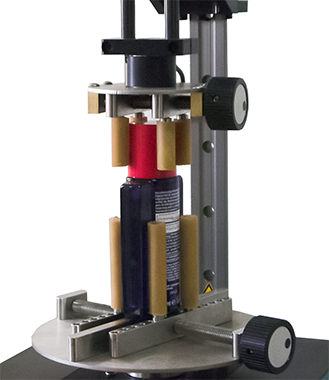 Vertical torque bench for measuring up to 12 Nm (100 in-lb). It can measure clockwise and counterclockwise. 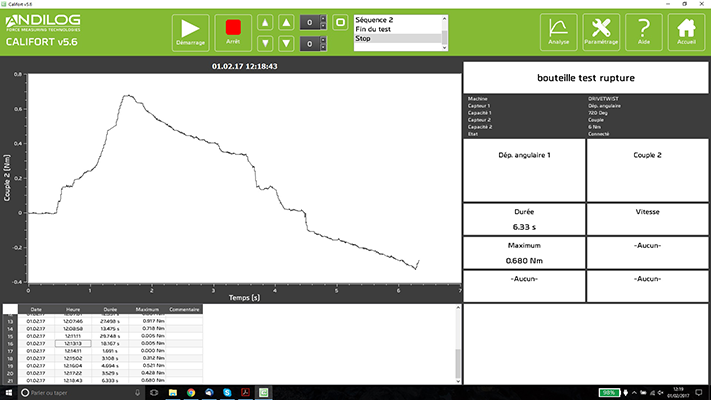 Semi-automatic control by console or automatic by computer. Range of accessories available for cap testing. Its compact format and design is suitable for food or pharmaceutical production. The Drivetork is equipped with two high-precision sensors: a torque sensor and an angle sensor. 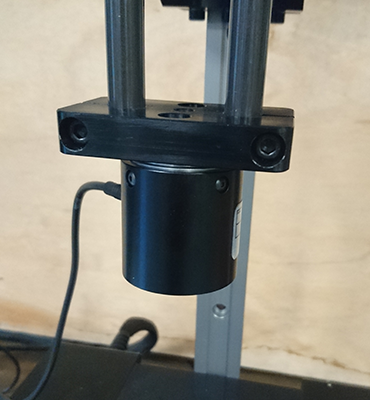 These two sensors are perfectly aligned to guarantee the quality of the measurements in the sample axis. The torque sensor is the sensitive element of the Drivetork. This sensor is available in different capacities depending on the measuring range on which it is used. 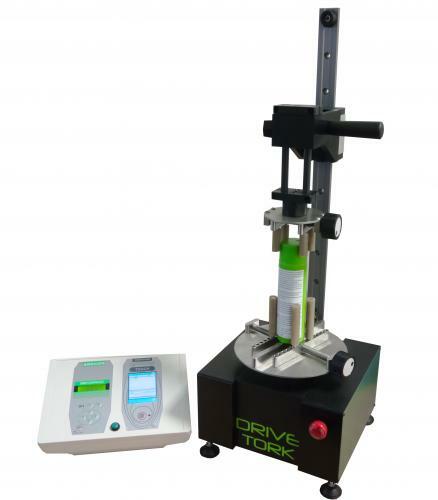 The Drivetork can perform torque measurements from a few mNm (oz in) up to 12Nm (100 in-lb). These sensors are interchangeable and automatically recognized by the Drivetork. Therefore, it is possible to have several torque sensors to cover all measuring ranges. The accuracy of torque sensors is 0.5% of full scale. It is recommended to use them between 10% and 90% of their capacity. The angle sensor: measures incrementally with a resolution of 0.1 °. Adjusted directly on the axis of rotation, it aligns perfectly with the sample to ensure an accurate measurement of the angle. 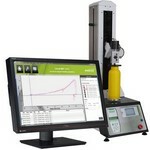 Simply press the green arrow to start your test and measurements. There is no easier way to begin. User has access to the most important data and a limited access to the test configurations. Califort’s menus have been redesigned for an ergonomic and more user-friendly experience, which minimizes the training time on the equipment. Califort software offers and ensures integrity and traceability of your results, thanks to password protected access and automatic backup.